This article was written By Maria A. Ruggieri on 19 Jun 2015, and is filed under Interviews. 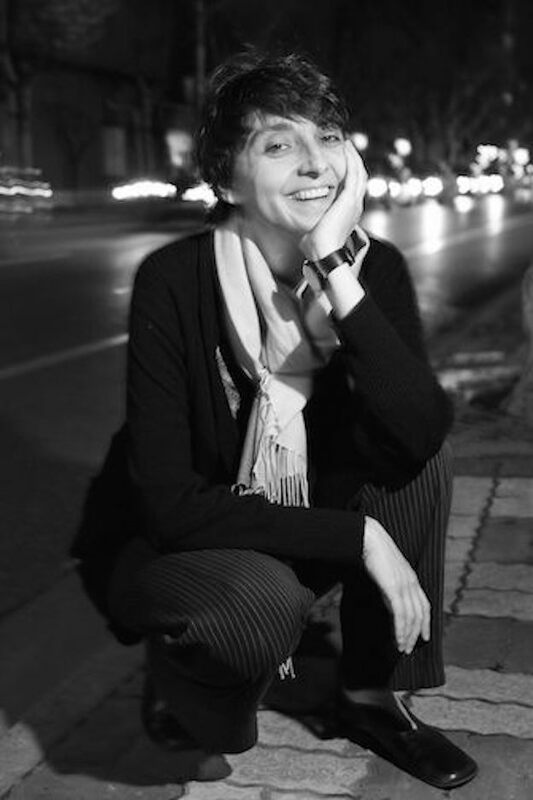 Maria A. Ruggieri is a Sinologist specializing in Chinese cinema and cinema in China. She has been based in China since the late 1990s, at that time as a student at Beijing Film Academy. She was previously a China territory correspondent for Mostra Internazionale d’Arte Cinematografica di Venezia (2006-2009). She is the program consultant and coordinator on Chinese Popular Cinema for the Udine Far East Film Festival and a contributor of essays and interviews to Nickelodeon (since 2001); she is also a correspondent for China territory of Festival del Film Locarno. As project manager, she organized the first edition of New Italian Cinema Events – N.I.C.E. China. Other projects include film retrospective organization, film translation, subtitling of Chinese feature and documentary films, and collaboration with the Beijing International Film Festival as Program Consultant on European Films of Forward Future Section. In the fast growing Chinese film market, very talented local filmmakers have experienced difficulties in reaching their national audience, although their works have received awards at international festivals and been distributed abroad. These filmmakers insist on wanting to make films of a high standard that respect a sense of cinema that has been gradually pushed away by local production companies, local investors, and local distributors, who have instead allocated space and resources to ‘disposable commercial products’ that guarantee immediate economic success. Such filmmakers represent the gap in the meaning of the word ‘popular’ when used in relation to the Chinese market and foreign territories. Because of this gap, many of these filmmakers now use foreign channels to secure financing. We discussed this subject with Isabelle Glachant, who started her career as a journalist for the French TV station Canal + and served as Audiovisual Attaché of the French Embassy in China from 1998 to 2003. Glachant began working on Chinese films in 2004 as the executive producer of Wang Xiaoshuai’s Shanghai Dreams (2005). Since then, she has been credited as the associate producer of Li Yu’s Lost in Beijing (2007) and Lu Chuan’s City Of Life and Death (2011); co-producer of Lou Ye’s Love and Bruises (2011); and producer of Wang Xiaoshuai’s In Love We Trust (2008), Chongqing Blues (2010) and 11 Flowers (2013). Since January 2012, Glachant has also served as Unifrance’s Greater China representative. MR: Films by Wang Xiaoshuai, Lou Ye, Lu Chuan, to name few of very talented filmmakers you worked with, have received awards and recognition from film festivals and critics abroad, enabling them to be distributed in foreign markets. How popular are they in China? IG: It depends what’s exactly the meaning of popularity. If it means mainstream – films seen by many people – then films by Wang Xiaoshuai, by Lou Ye are not popular, because they have difficulties to access the local cinemas, so audience have difficulties accessing their films. Their films cannot be popular, because they cannot access wide audience. When their films are released in China, it’s very often for only 2-3 days, so the popularity that their films can get when it’s about a 2D-Chinese-3 days release-film is very tiny. Popular are film directors though, you have to see the number of fan-subscribers on artistic film directors, Wang Xiaoshuai, Lou Ye, Jia Zhangke weibo (Chinese version of Twitter) and how many times their messages are re-twitted. People know them more than their films. And they are popular by winning awards, by being recognized abroad. They became in a certain way a flag of Chinese culture or China and they are well known for that. Sometimes they are also hated because of that. They do represent China abroad while the ‘mainstream’ would love to have other directors representing it. The [local] distribution of their films is limited and, because of that, there is a big gap between their films and what popular films are. That gap would get smaller if there will be cinemas accepting to keep (screening) their films longer because you never know when artistic film will become mainstream. The mainstream is just why people decide to see a film, they like it and will recommend it to someone else. But in China with this kind of distribution [system] there is no time for artistic films to become popular because after few days anyway they wouldn’t be in the cinemas. I think it’s the cinemas to decide which films are popular. A film can be popular because the cinemas decide to give a good exposure even before the film becomes popular. Love is Not Blind was just a tiny film, nobody expected much from it. When it was released, it became popular and the cinemas reacted very fast in letting the film get to more audience and more audience made the film even bigger. It’s very difficult to know in advance if the film will be popular, but in China the collective cinemas’ decision is that artistic films do not work at the box office, that are difficult to understand, and that are not entertaining and because of that they limit the potential market of the film. Even though China is a country that doesn’t put people in boxes. It’s not because you’ve never done something before, it will not let you do it. But somehow artistic or intellectual films that are looking at dark side of Chinese society, at places that the audience would prefer to forget or some people would prefer not to see on the big screen are locked into a box, making them impossible to be popular. What is the change that would allow them to cover the distance for being popular? One solution might be for those artistic directors trying to do what’s called commercial films. But nowadays in China there are already directors announcing their new artistic film as IMAX 4K film, making people talk about the film without knowing subject, story, or cast. It’s about merchandising, packaging.. and the packaging makes the film being commercial. I think that some artistic directors refuse the idea of their films to be packaged as a commercial film, because they see that as a concession that somehow makes them feel as they will lose totally the type of cinema they are defending. There is a difference between ‘films’ and ‘cinema’. It’s not because it’s a film there is cinema in it. When the latest popular films are made from TV standards – no matter if it’s a TV series or it’s a TV show that has been turned into film – the directors, who believe in cinema defending a certain artistic content, feel that there is a compromise that they can’t do. They have to defend a certain position. Artistic directors are trying to do films that would be called commercial, as genre films. The genre could be a way to go over the gap in popularity between the actual commercial/mainstream films and artistic ones. Some directors, like Diao Yinan, have tried that. But I think there were certain limits they did not want to cross. There is one point that they would say I have done enough of compromise. And that let artistic films in a ‘box’. China has not managed yet to have that type of directors we had in the West, very artistic directors doing popular films, with very strong personal voice, yet doing films that are easy to access for the audience. That would probably help to reduce the gap between artistic and commercial cinema in China. Now we have commercial films with not very developed scripts and with no content. It’s more about an idea, or a cast, or a director, very often produced quite quickly. There is no development, even for some very quality mainstream films. And on the other side, you have artistic directors with strong ideas, and scripts, and characters but without the means to take the film to a place that could access a wide audience. Somehow the two cannot connect, being artistic and yet being mainstream. Besides, it has got tougher in the last two years in China because of the craziness of the results of the Chinese Box Office, even mainland China investors are getting more and more into willing to produce only films for the mainland market. They do not even think that commercial mainstream productions might go International. They don’t understand International market. I feel that the trend for the investors isn’t doing films only for the local audience that might like to see films, but for an audience that consumes products, so the packaging and few elements are enough for them to put a lot of money on the table. In other film industries you need very strong producers to make sure that the money is recouped. From many films in China those investors are not recouping their money because it’s true that the Chinese box office is huge but it’s huge for few films and those films are costing a lot of more and more money. Everybody is dreaming about those millions, but it’s like a mirage in the desert. I believe that some of those films make money because it was decided that they will make money by screening them at the time when they will access more audience, and by the way they are promoted. Yet there is not always a link between the box office results and the quality of the film, or a link between the box office result and how much the audience liked the film. People go to see a film that everybody says it’s bad, but since the film is becoming very popular, they go-see-and trash it. It’s a very strange audience in China. 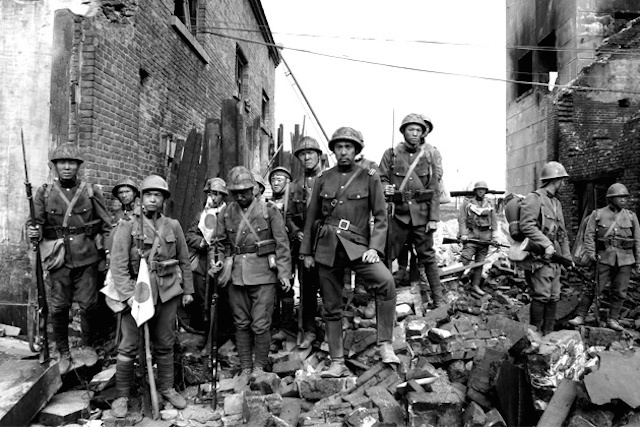 I remember working with Lu Chuan on City of Life and Death, when the film was released, there was a big discussion in China about Is it possible to portray Japanese soldiers in that way? And a lot of people went to see the film just to disagree with Lu Chuan or just to be able the next day at lunch to argue about the film. And everybody in China kept talking about the film for about two weeks, and because of that others kept going to see the film. Not because of the quality of the film, or because it was Lu Chuan directing it, or because of the cast, but because it became a trend-social-hit or whatever, that you need to see to be able to have a point of view on it. Something that happened with Tiny Times 1 too, when people needed to watch and trash it, or they needed to go and support it, because they liked the book. The huge result [at the B.O.] of Tiny Times 1 was because everybody was talking about the film… if it was good or not for society, if it should be allowed this type of film to be done… and that made the film popular. Do you think it’s a matter of time for the industry and the market in China to mature their own ideas and models to embrace an International standard? I think changes won’t come from the industry deciding that it’s time to change. I think changes will come from the directors and the producers, those others ones that can do different films that will allow a different type of distribution and a different relationship with the audience. By seeing two films, Jia Zhangke’s A Touch of Sin and Diao Yinan’s Black Coal, Thin Ice there might be a possibility of a different type of films coming from artistic directors. This is a way to change, to shorten the gap between International market and Chinese market. That will come from artistic directors, because the big commercial comedy and action films are too local, I don’t see how International market suddenly changing and wanting to see those films. It will come from directors that we recognize, that we like, that we are touched by the way that they tell stories. That’s how we started liking Chinese cinema, those films made by Zhang Yimou, Chen Kaige, artistic directors doing films that were ‘bridges’. If Diao Yinan and Jia Zhangke can do it, some other directors can do it too. The second change will come from the productions. 12 years ago there was not so much cash available for film production, and now there is a lot of money that have been put in film industry. China needs more artistic producers though, not generic investors. I think that Chinese audience will be ready to see and to like better films, with better scripts, with an idea that is more than just an idea. But that takes time and when you have investors that are eager for the film to start shooting in two months and the first draft that the director gives is green lighted to go into production, that is also a problem because cinema, no matter if it’s art or business, needs time. Sometime money, too much money, is actually destroying the potential of the film to be more international or popular or of better quality. People think that you don’t need to spend so much time shooting or preparing any film when Where are we going, Dad? has been shot in two weeks; it gives the idea that it’s very easy to just take a TV concept and do a film, such as Beijing Love Story. When two films like that succeed, there will be more of those films coming, which is not good because that will be a trend that is not helping in doing quality films. It’s easy to do films where there is no a lot of risk, you know in advance that it should work a minimum. And this is not cinema. I don’t think that the audience in China being huge can change its tastes fast, it needs time to start liking different types of films. Maybe the future of Chinese cinema is the older-age audience, it’s how to get those over 30-years-old people to the cinemas. They do not have the same tastes, they would go to see different films, they would request higher quality films, but they need to have a better offer. When you only offer them 70 foreign film a year, that are all the same type of films, you don’t help them to go back to the cinemas because the only diversity they have is Chinese cinema, and artistic films aren’t there for long time. When the market will open wider, maybe those people will go back to the cinemas. And they will change the popularity of films, because the box office will be able to be bigger. Right now they are expanding the number of cinema all over China, but not the age range of the audience. I think the biggest potential is actually there. How and when will those people get back to the cinema? That’s a big question. I think that the theaters would be very interested in different audience too, more audience will bring the same price tickets for 2D and 3D format, then theaters won’t need to push for showing 3D. Right now, when you have full house into 2D theaters it will bring less money to the box office than half empty 3D screening room. There are potential elements that could help Chinese Film Industry go with higher quality films, with films that could remain in Chinese Film History, that could travel, that could go over the bridge of quality artistic films and gains popularity. If you think directors can do films that are more into mainstream here and still can have those artistic elements, artistic producers could help directors to develop more the scripts, the money will be on screen at the right place for the right reasons, and then the audience. All the audience needs to go to the cinemas. You have been working in collaboration with Chinese filmmakers for very long time, scouting for stories to be co-produced and Sino-French co-productions are among the few in China. Which model of film co-production you think works in the actual Chinese film industry? China is doing at the moment four different types of co-production. The first type is with Hollywood, which took the most because it’s in the trades all the time. For me, that’s not a real co-production. Hollywood is not a co-production entity. It has never done co-productions. Hollywood is coming here because of the market, doing co-productions because there is no other way to get into the market. It’s called ‘co-production’, but very often it’s fake one, like Iron Man 3. The idea is still to do Hollywood productions that will get into the Chinese market and that will be saleable all over the world, but having a better conditions packaging and percentage in Chinese market, or putting money in the local production to try to have Chinese production going in a certain way to get more consumers into buying American products. The second type of co-production is with Europe. Those are very difficult to do actually because.. talking about popularity.. films need to have a logic of production in order to be popular for the two countries [that co-produce the film]. Chinese audience is very different from the European audience. Chinese audience is in the range of 18-30 years old people, who like to see IMAX and 3D, entertaining films because cinemas push in that way and that is the kind of films that works. In Europe audience is older, they don’t like 3D, they want content, stories, emotions, story-characters, so to do a film that will work for young teenagers in China and forty years old people in Europe, what kind of story would you tell when China sees Europe in the way Europe does not see itself, Europe sees China in the way China does not see itself? So very often you have to make a ‘smaller’ story to get into the two markets and somehow making those stories smaller or less national you would lose the point of it. Few have tried. I’ll take the example of France. We finished official co-productions and there are still two-three on the way. The first, 11 Flowers by Wang Xiaoshuai, is a Chinese director telling a Chinese story with French part being only technical, helping the Chinese story being told; the second is Nightingale by Philippe Muyl, a French director, shooting a Chinese story in China, in Chinese with Chinese cast. The third, Wolf Totem directed by Jean-Jacques Annaud coming to China to shoot a Chinese story in Chinese in China and the fourth one is an animation, called The Legend of the 108 by Pascal Morelli, it’s a French animation based on a Chinese book in Chinese in China. So actually the co-production between China and France is doing Chinese films. You can see it’s a French film because of the production quality, in the editing, in the sound, in the images, there is a certain European quality in it that you can recognize, but what you have on the screen is a Chinese film in Chinese, it does not matter if the director is Chinese or French. So it works, but there are just certain Chinese films that we can do. ‘Co-production’ for Europe has always been doing films with no obligation to have one country on the screen. And that’s a limitation that China is giving, because China is asking not just for investment or for number of Chinese crew working in the film, but for having Chinese elements in the film too. The idea of the Chinese government, which I think it’s very clever, is to say if you want to have the Chinese market, which is a big market, you have to help us to promote China abroad. Those are stories approved by the government, and they have to pass the censorship. Those co-productions would help China in making productions with International appeal that will present China in a certain way abroad, while Chinese productions at the moment cannot do that. So co-production is a tool for the Chinese government to do what the Chinese local productions cannot do, that is to promote China internationally. A third type is Asian co-productions that are more market-oriented, not just promotion. It’s usually when an Asian, mostly Korean or Japanese, company that want to work with China thinking of the big market here. My understanding of those co-productions and what I have seen is that they are not very successful because even though it’s Asia – they are actually very different and those differences are in the details. One of the first countries that did a lot of those co-productions was actually Japan. But the result was films that were failing in both markets because the Chinese were saying it’s too Japanese and the Japanese were saying it’s way too Chinese. The Koreans are trying to figure how to make co-productions. Some of them have been not bad, but the success of those co-productions relies more often now on working only with a Korean director. They are taking one element (the director) to do Chinese films but usually for the Chinese market. So that’s how Dangerous Liaisons was made with Zhang Ziyi. There are a lot of Taiwanese co-productions too with Taiwanese directors, so it’s a more commercial way to work. The fourth one, and I think that is the most successful up to now, is the co-production with Hong Kong. The co-production with Hong Kong works because Hong Kong actors are also Chinese and the stories can rely on Hong Kong people not going against the Chinese culture. They will accept whatever the censorship is asking and so the biggest part of film co-production is Hong Kong and China. Several years ago the Head of China Film Group was introducing the company’s film line up made by directors, one from mainland China and all the others from Hong Kong, and all films were introduced as Chinese films. If you take away the China Mainland – Hong Kong co-productions from the box office then the foreign films would take more than 50% of the national box office. So those Hong Kong co-productions that are seen and distributed as local films are actually helping the Chinese Film Industry to retain that 50%. So isn’t China’s prerogative to keep two lines of film productions, one for the national distribution and one for the international distribution? The Chinese government, the Chinese industry and a lot people think that co-production is the way to fulfill the gap, but I don’t think it is. Co-production is the way to tell certain stories that you would not be able to tell otherwise, it’s a way to learn from another country, it’s a way to work together on a specific project, but that’s not a solution to have Chinese Cinema going International. It cannot because if you have Jean-Jacques Annaud coming and doing a film, he will be doing a film about China, about a very specific subject, and the film would be Jean-Jacques Annaud’s film. I hope so, because if he is doing a film that is not Jean-Jacques Annaud’s film why do you bring him in? Jean-Jacques Annaud’s film would not be a Zhang Yimou’s film. So you have to support Lu Chuan, Feng Xiaogang, Lou Ye to do films that will make sense here and that foreign audience would understand. Hollywood for example is doing not American films, just International films. Their specialty is just to not have a specific culture, to just be able to travel all over the world. They are the only ones to be able to do that. No one can do that, in Europe we are not capable. It’s impossible to copy that. French do French films, Spanish do Spanish films. Chinese Cinema will be strong when Chinese films will move foreign audience. Foreign audience were moved by In The Mood For Love, by Crouching Tiger, Hidden Dragon, so it’s possible with very typical Chinese stories. You don’t need a co-production for that. Chinese Cinema needs to be strong and needs to learn by itself to be strong.